Challenge Wanaka is part of the global Challenge Family series of long and half distance triathlons. Challenge Family is changing the face of long distance racing around the world with its focus on athlete experience. Featuring spectacular courses in iconic destinations, Challenge Family events focus on delivering the race of a lifetime to every athlete and creating a memorable spectator experience that captures all the excitement and emotion of this inspirational sport. 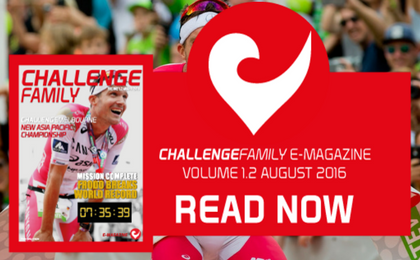 The Challenge Family series currently features over 40 events around the world including the world’s largest long distance triathlon, Challenge Roth in Germany. Other races take place in Germany, Austria, Canada, UK, France, Spain, Holland, Italy, Denmark, New Zealand, Australia, Thailand, Taiwan and USA with more planned for 2015 and beyond. We hope you enjoy the second edition of the CHALLENGEFAMILY interactive eMagazine. Be sure to have the volume on when you read it!